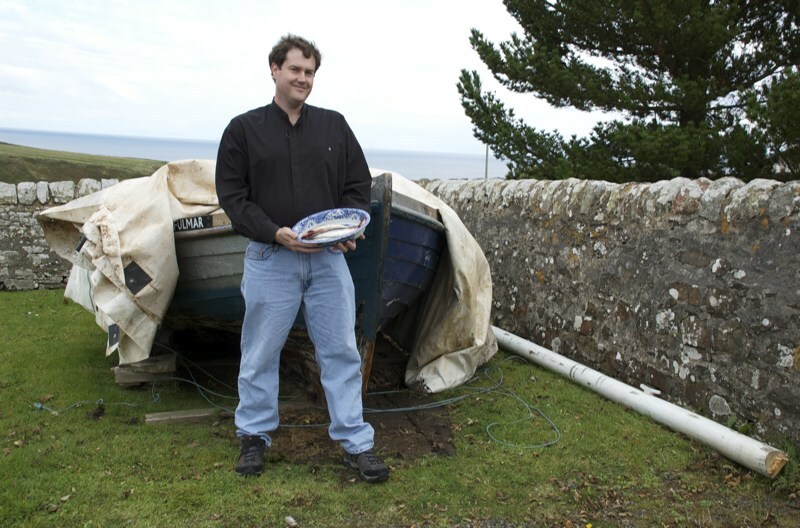 In early 2009, I was contacted by Holly Booth, the producer for Landward, about assisting with one of their episodes. Their concept was that in conjunction with Scotland’s Homecoming 2009 celebration, they wanted to make and episode about someone from a rural area of Scotland returning to their ancestral croft (farm). 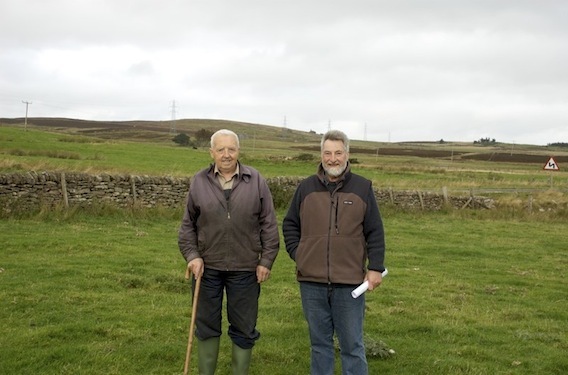 After years of research on the history of my Henderson family in Glasgow and Caithness, my name may have been at the top of someones mind, because when Landward was looking for a likely person to return to their farm, my name was submitted and quickly approved. 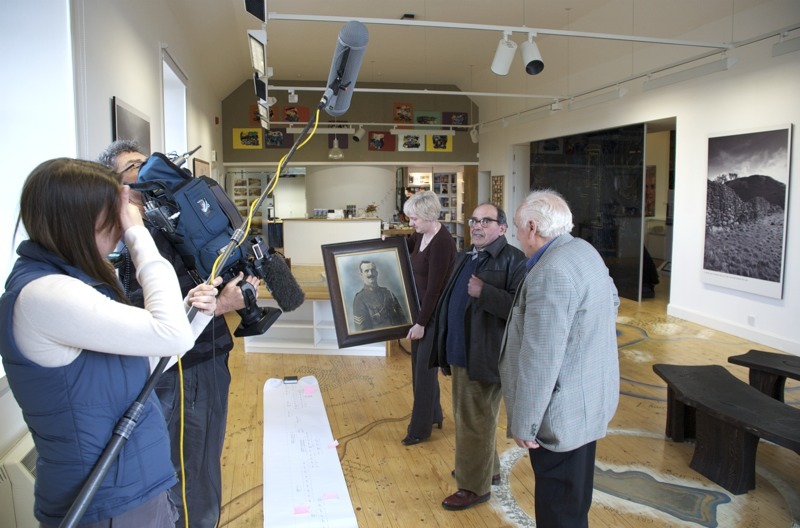 The work for the episode involved a great deal of research, both on the part of our family research team (a group of cousins all working to uncover and document our history) as well as a group of historians and archeologists recruited by the Landward program. The episode would be filmed over the course of 2 days, on site in and around the villages of Dunbeath and Berriedale in southern Caithness. 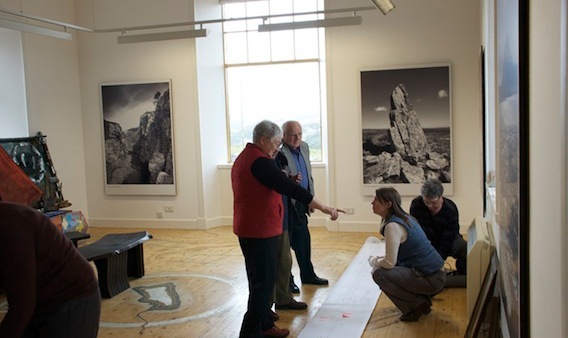 The first day started at the Dunbeath Heritage Center, a museum dedicated to preserving the unique history of this part of Caithness, and housed in the villages former one room school house. On hand were the crew from the Landward program, including Holly, the producer and Collin, the cameraman. The plan was to create four to six segments that would be edited down to make the final episode. Our first segments filmed were with this wonderful lady, Nan Bethune Nan is a PHD-level archeologist and anthropologist, who used to teach at the University of Edinburgh. When George and she retired, they returned to his boyhood home of Dunbeath and purchased a farm that has since been turning up artifacts, many of which are on display in the museum. She spent about forty-five minutes on camera talking through a series of historical documents (three different times which will probably be edited down to less than ten). 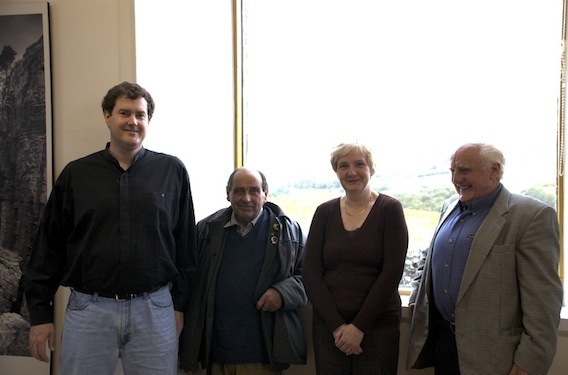 These are documents that she as been allowed to copy from the National Archives of Scotland, and this filming session motivated her to revisit them, in order to answer questions about the Henderson family in Ramscraigs. The picture above is a view of the area. 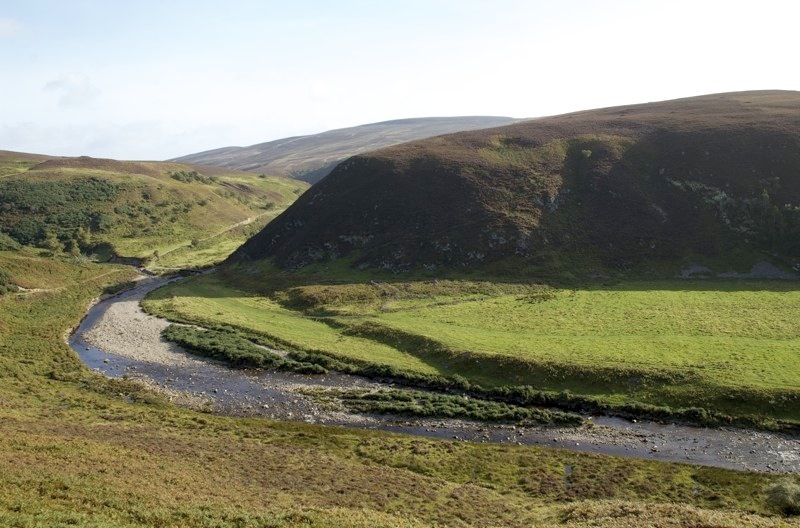 Nan had uncovered a great deal of history surrounding the Henderson of Dunbeath, including the original lease on Rhian, and the fact that James ended up there because of a second, not well known clearance action in the Berriedale estate that emptied their village at Knockfin. 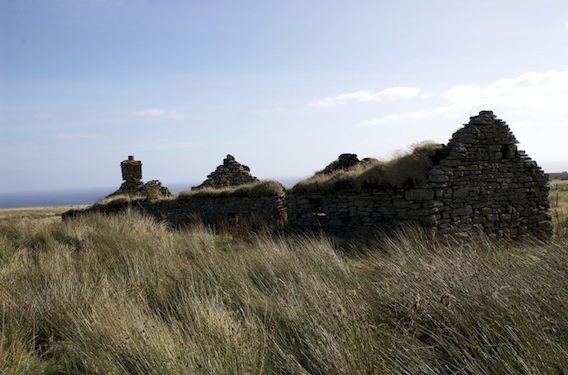 Nan also found the four brothers of James (we had known of two), all of which were at Knockfin around 1800 or so and post-clearances lived around Ramscraigs and Dunbeath. After Nan’s segment, while the Landward crew waited for a few folks to arrive, George, Nan and I went out to take a picture in front of one of the old herring boats that they have at the museum, awaiting restoration. This is the same kind of small boat that they would have fished from in the early 1800s before larger boats came into use. Ever thoughtful, Nan had brought some fresh-caught Herring to use as a prop. Bruce Henderson holding freshly caught "Silver Darlings"
Another shot below that includes Margaret Irvine, a Henderson cousin, with a photo of her grandfather, David Henderson who was a piper for a Army unit during WWI.. In the middle is John Angus, and at the end is Brims Henderson. 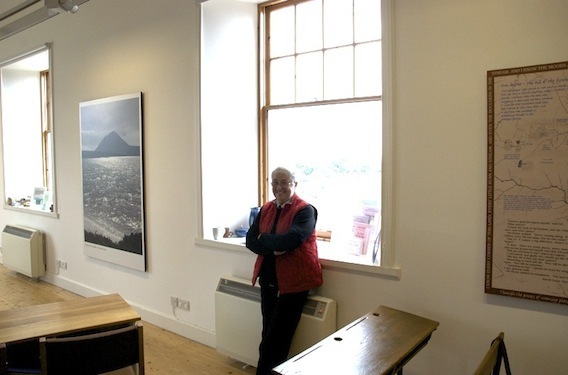 John Angus is a fount of local knowledge, and I now regret that I don’t have a more of his time to record every single story he has the heart to tell. But I did feel a bit like a giant with them. After a few more shots, we went to go film at Rhian, the site of the family farm from 1795 to about 1850. The wonderful George Bethune, a prominent local historian and archeologist, led this expedition. His narration during filming including a wealth of new information uncovered for this shoot. It seems that these events really got people very excited, and taking a fresh look at many records. I cannot compliment their enthusiasm enough. Suffice to say, I got to walk into the structure I had previously photographed from afar. I can’t describe how incredible that was. This completed our first day of filming, with the word that the second day would start and 8 AM and take us back into the highlands of Caithness to the ancestral land of my Henderson kin, the remains of a village known as Knockfin. The second day dawned with the sun rising gloriously over the stormy north sea, and finding myself and George Bethune outside the offices of the Berriedale Estate. Berriedale is a very small village that was once a thriving fishing and farming community at the southern end of Caithness. The majority of the land is owned by a single wealthily family, and managed by a group of professionals that are known as “Factors”. They care for the estate and the grounds, and take care of the wildlife and plants within the hundreds of square miles it encompasses. This morning we were met by a young man named Anson MacAuslan, who was a factor for the estate. We did not have long to wait has he arrived in his truck, ready to begin. He told us how excited they were that there was actually an excuse to go to Knockfin. 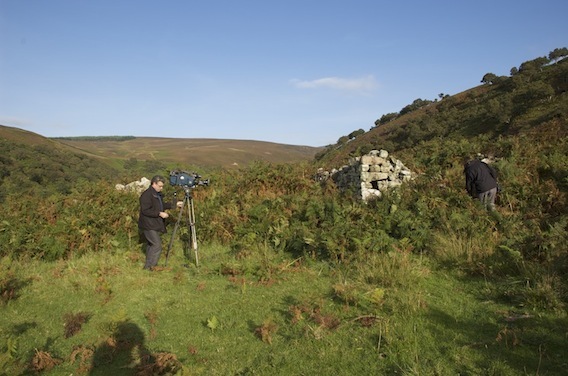 Moments later the Landward crew arrived in their off road vehicle, and we were off into the Berriedale estate. Sadly because we were on a schedule, I did not have enough opportunities to take photos of the estate. 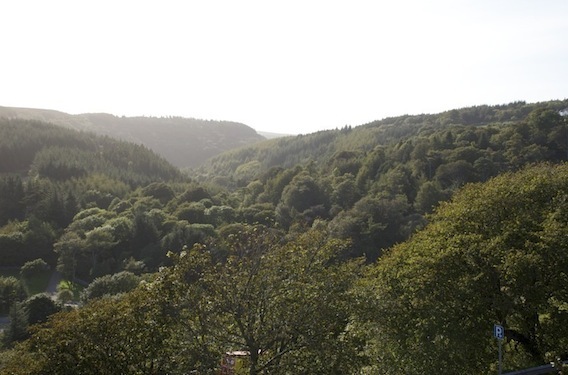 It is geographically and botanically distinct from the rest of Caithness, as it is heavily forested. 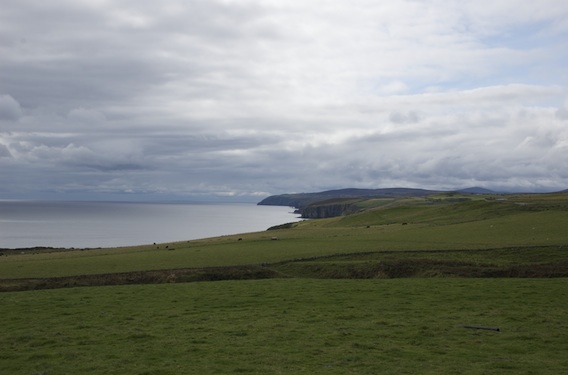 To the left is the Berriedale river, the large flat green field on the right turns out to be the crop land associated with Knockfin. Clearly when the Berriedale river is in flood, it would swamp the field, bringing it much needed silt and nutrients eroded from the land upstream. The triangular patch in the top center is the raised area where the houses were built. This would mean that even when the river flooded, the houses would stay above the highest water levels. A clever lot these ancient Hendersons. It was at this point George really was no longer interested in holding back his research, though he was supposed to wait until we were filming. It turns out that this area seemed to be an family settlement, and all of these houses were Henderson families, except for one Sutherland who it appears was married to a Henderson. The settlement had 2 barns for livestock, and a corn kiln for drying crops to store for the winter. 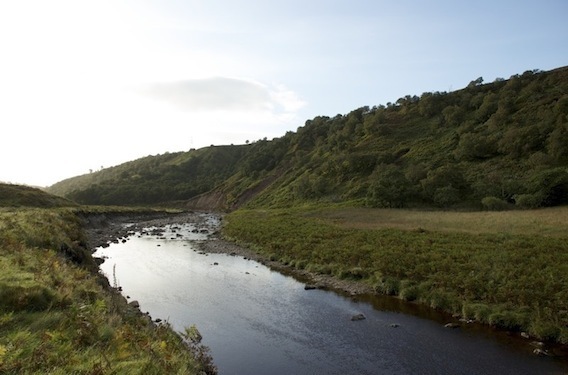 Anson explained that earlier this year there had been a flood on the river, which had taken out the bridge to Knockfin, and he confirmed that the field was covered in about 6 inches of water at the time. He had been able to rebuild the bridge since. As we came into the valley, there was a surprising variety of trees growing on the eastern valley wall (referred to as a burn) including birch, elder and juniper trees. The Juniper caught Anson by surprise, as it is very rare in Caithness in the wild. For Caithness, this seemed a superb spot. 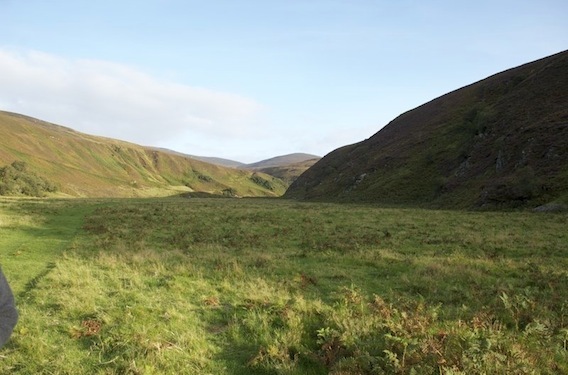 The massive hill to the east (Cnoc Foinn – or Galic for the White Hill or Holy Hill) blocked almost all of the wind from the North sea 3 miles to the east, there were trees nearby for building proper roofs and implements, and the soil here is deep and fertile, though according to George the soil depth here says that it had been fertilized and cultivated for at least a century. The river was teaming with massive salmon, which at first spooked at the sight of us, then went back to sleep and ignored us during our filming. Anson told us this area is thick with deer. Suffice to say, the Hendersons living in this area would have had plenty of land to harvest, and many creatures to eat apart from their own cattle. Looking east from Knockfin along the river, into a rising sun. We spent time filming among the ruins of the structures at Knockfin, including the village itself, the barns and the corn drying kiln, which now forms a rough mound or stony rubble covered with purple heather flowers. Seems that this was directly on the trail between the Gunn stronghold of Braemore and the Sinclair holdings at Berriedale, and would have likely seen many visitors passing to and from the coast. 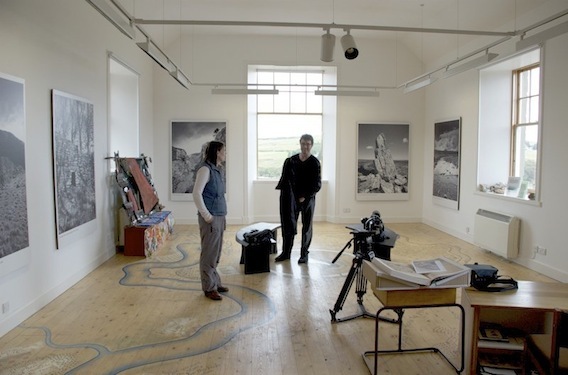 By this time the Landward crew had shown up and it was back to work for us. We filmed for about 2 hours at this location, bringing total footage shot to at least 3 hours, which I am sure will be edited down to 20 minutes or less. After two days of hard work, we said farewell to the Landward crew, who were off to their next assignment. The trip was exhausting and tremendously rewarding, uncovering vast volumes about not just my Henderson ancestors, but how the people of the rugged and beautiful land lived, and why so many of them ultimately left for better opportunities in America, Canada and Australia. Last but not least, I headed back north to Ramscraigs and Clashcairn hill, were I briefly visited the farm house of my great-great grandfather, Donald Henderson. This house was home to his family, and a place where he employed several men as he built a business making and repairing shoes for families and the fishing industry that sailed from the harbor in Dunbeath.